June 2018. 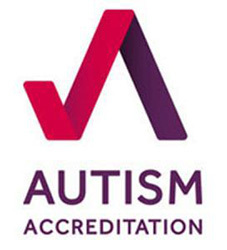 Autism accreditation. Plant Sale and Healthy Living Community Day. Share Nurseries. Drama at Share. 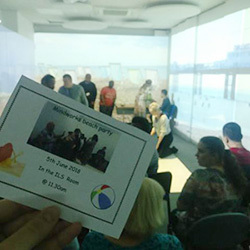 July parents/carers' meeting. New staff at Share. Volunteering at Share. Share recipes. Well, it has been quite a month at Share! Made even better by the news, that Share Community has been awarded Autism Accreditation by the National Autistic Society. This makes us only the second accredited organisation in Wandsworth and the first day care service in the borough to achieve accreditation. 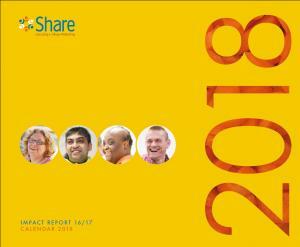 Over the past three years, Share has reviewed and improved every part of the organisation, from making its environment less cluttered and brighter through to making sure its communication is accessible and autism friendly. Find out more in Share CEO, Annie McDowall's note on a job well done! Our Plant Sale and Healthy Living Community Day on 2nd June 2018 was everything we'd hoped for. 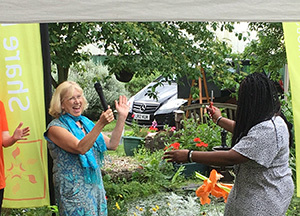 It was wonderful to see so many people from the local community who came along to help us celebrate the launch of our gardening social enterprise, Share Nurseries. Huge thanks to everyone who supported the event, including our local MP for Battersea and Shadow Minister for Disabled People, Marsha de Cordova, the Deputy Mayor of Wandsworth, Cllr Jane Cooper, all our amazing sponsors, stallholders, and partners and supporters, Bikeworks and Treblemakers. A reminder that Share Nurseries is now open to the public for plant sales from Monday to Friday, from 9am to 3pm. 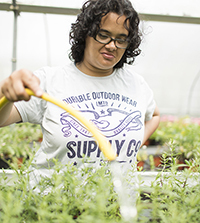 To find out more, contact Share's Horticulture Training Manager, Sarah Bailes via email sarahb@sharecommunity.org.uk or telephone 07837 180774. This month, our Independent Living Skills students have been learning drama as a creative and fun way to express their interests and views, thanks to Mindworks, a charity that provides psychological services. 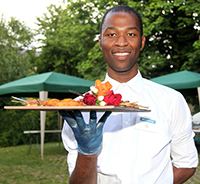 To find out more about Share's Independent Living Skills course, contact Eolan Healy, Share's Independent Living Skills Team Leader, via email eolanh@sharecommunity.org.uk or telephone 020 7801 9813. 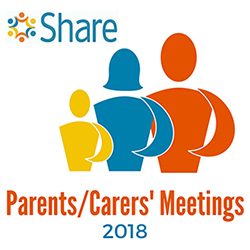 The next Parents and Carers' meeting takes place on Wednesday 25th July 2018 at the slightly earlier time of 10am to 11.30am. This month's discussion will focus on 'How Share can support students to use the internet safely at home'. To find out more or to book your place, please contact Share's Wellbeing and Outreach Manager, Karen Miles, via email karenm@sharecommunity.org.uk or telephone 020 7801 9813. A very warm Share welcome to Deborah Shachar (far left) and Jaime Johnson (left) who both join the Share garden team. Deborah joins us as Horticulture Therapist and Deputy Manager, and Jaime joins us our Horticulture Job Coach. There is nothing like eating a piece of cake!